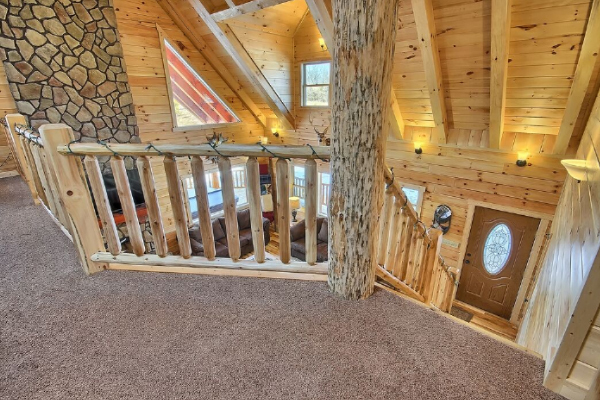 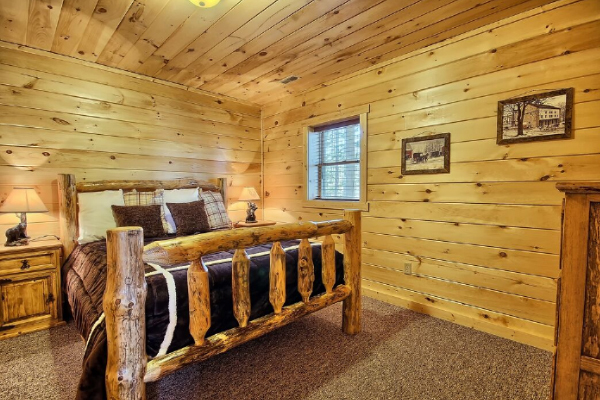 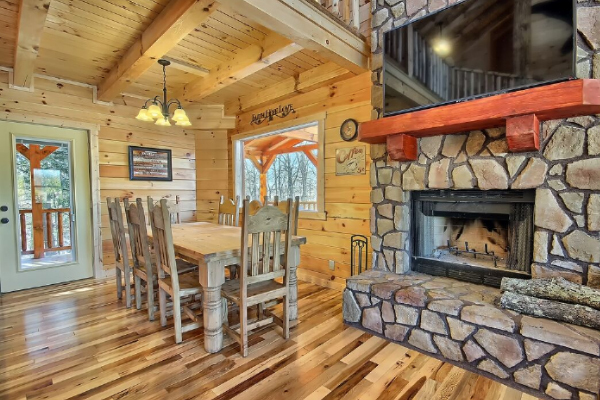 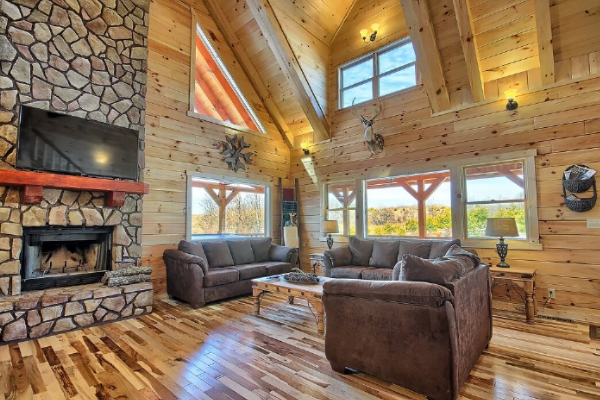 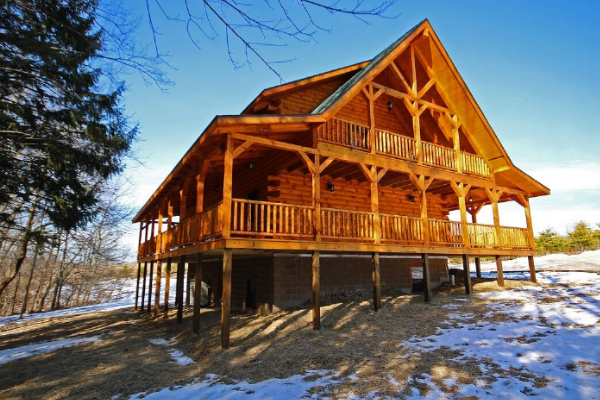 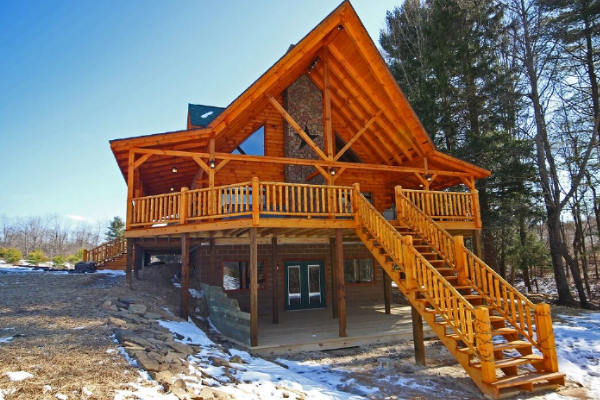 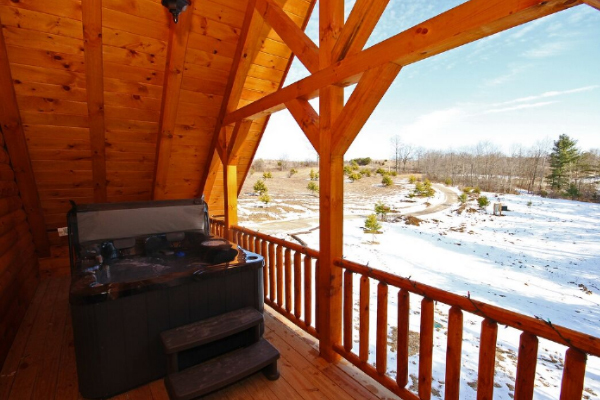 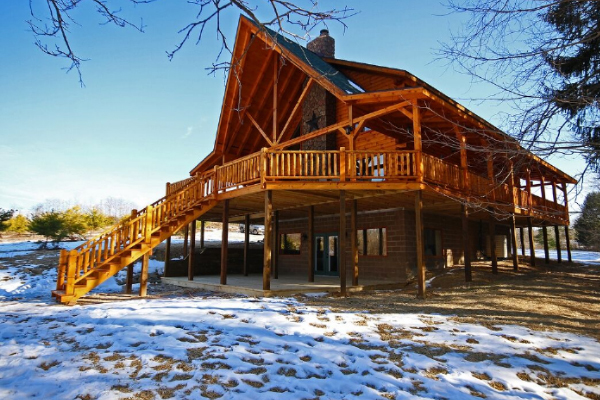 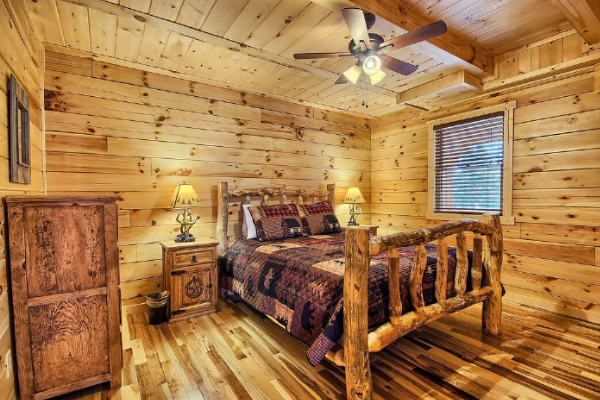 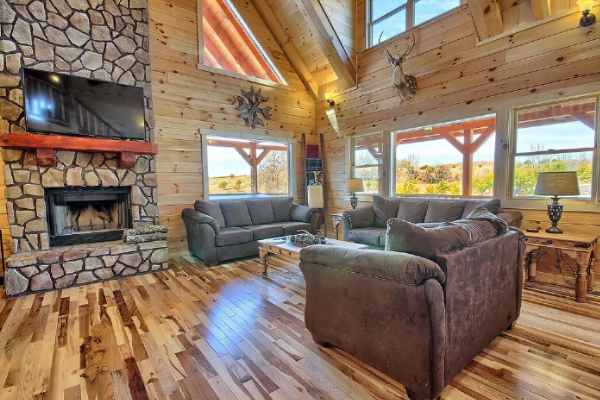 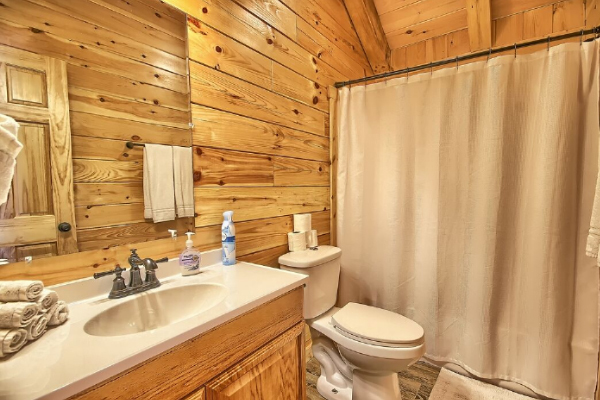 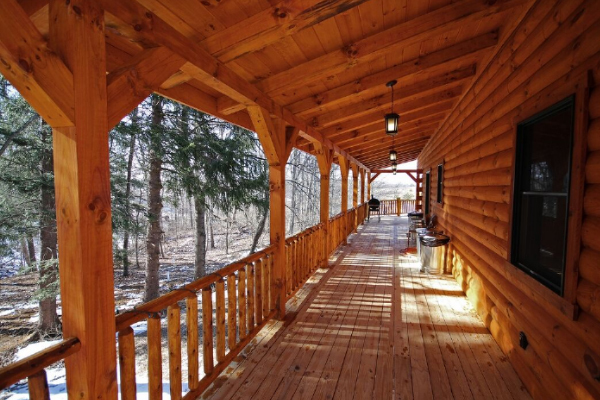 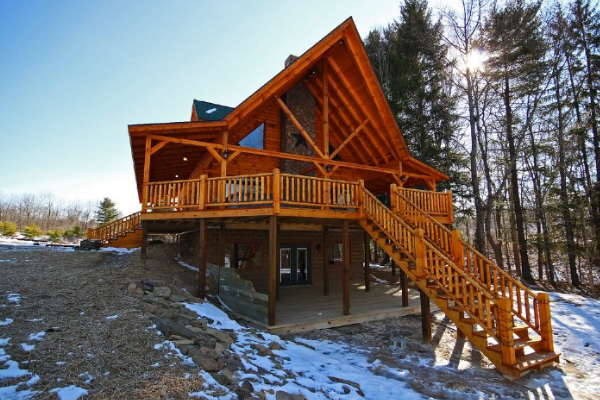 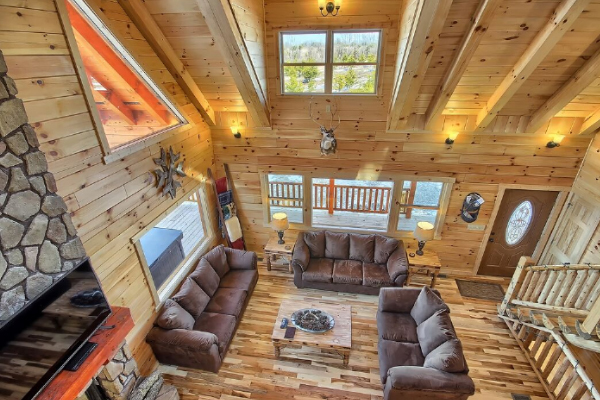 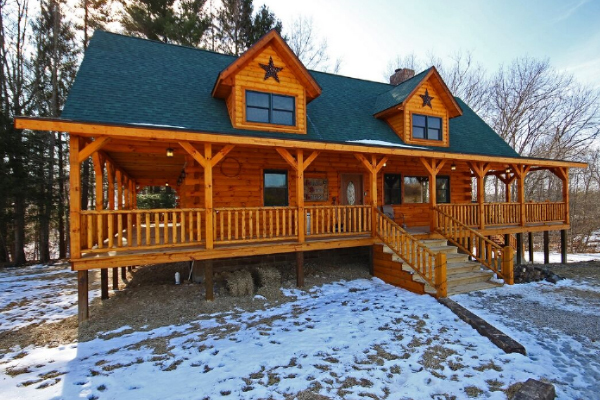 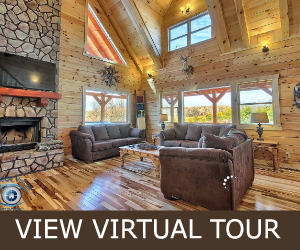 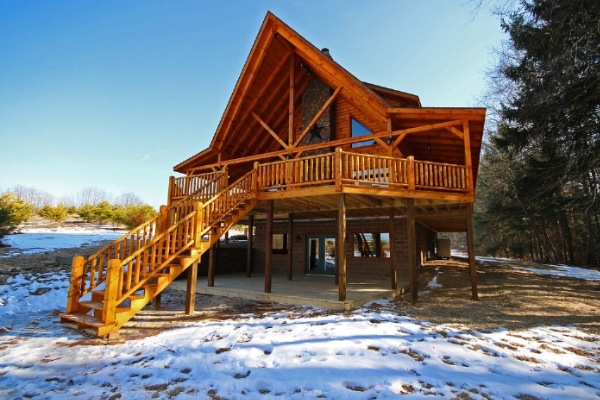 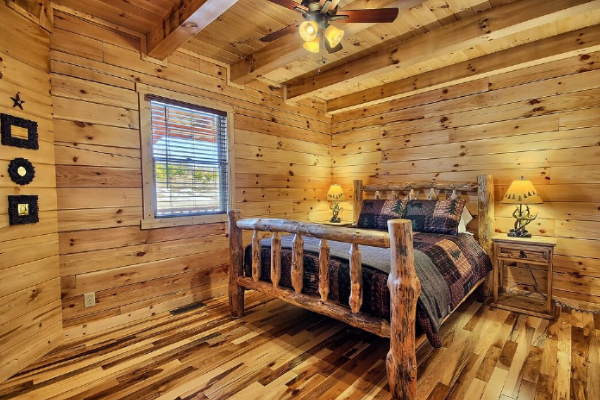 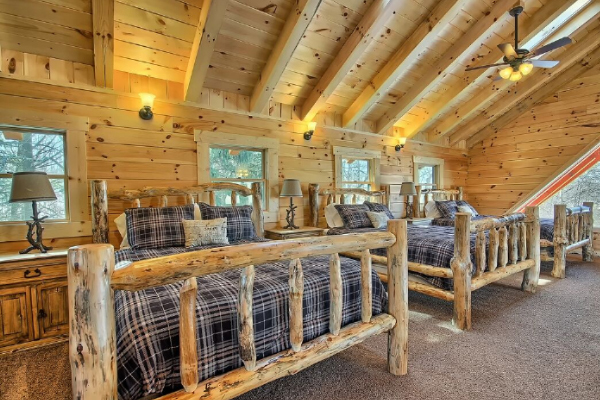 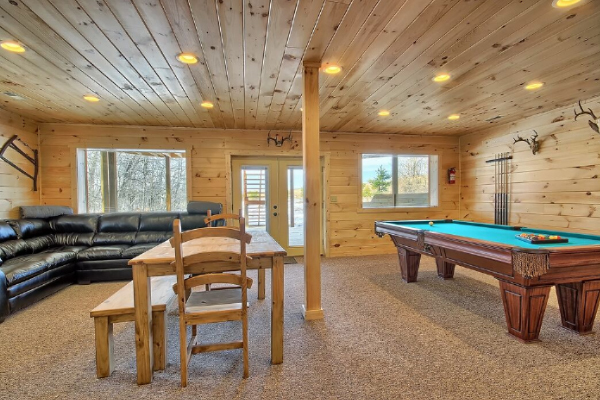 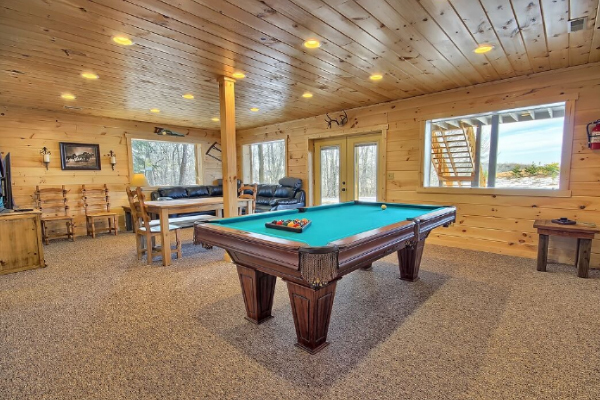 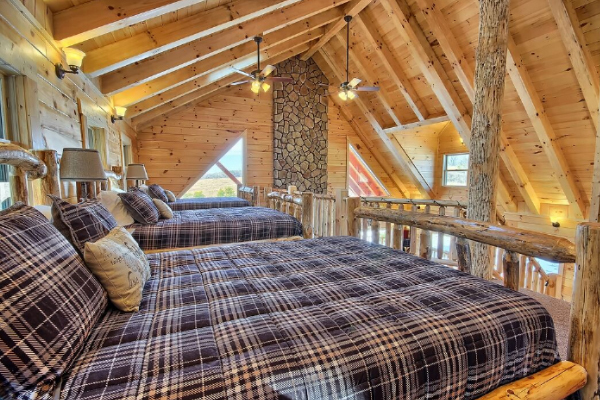 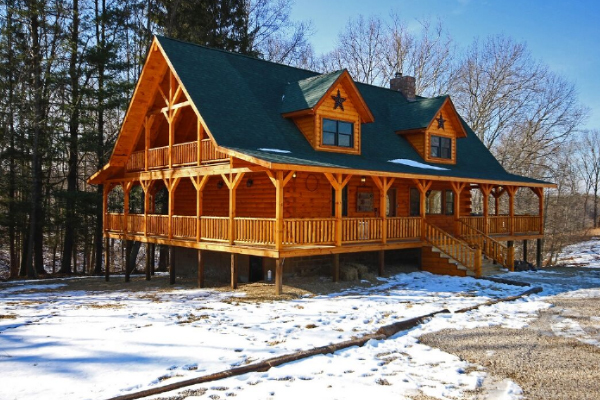 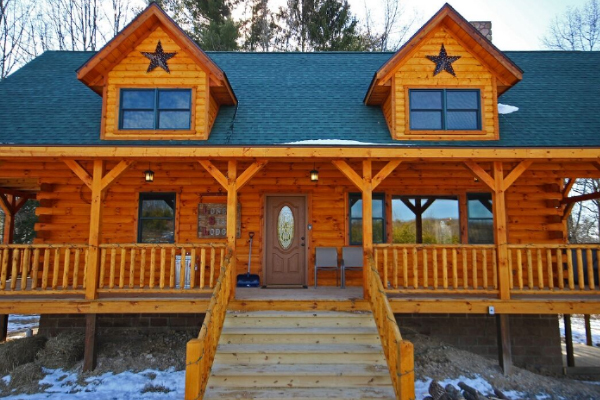 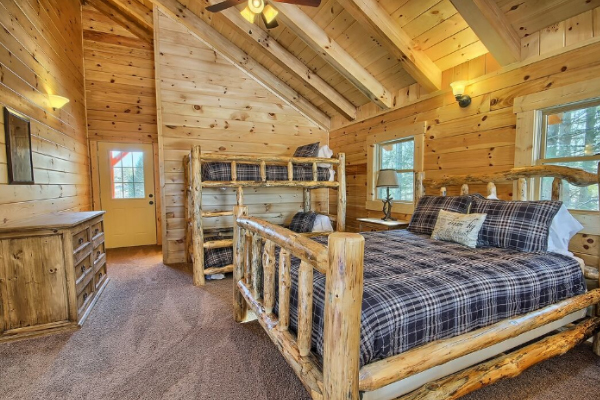 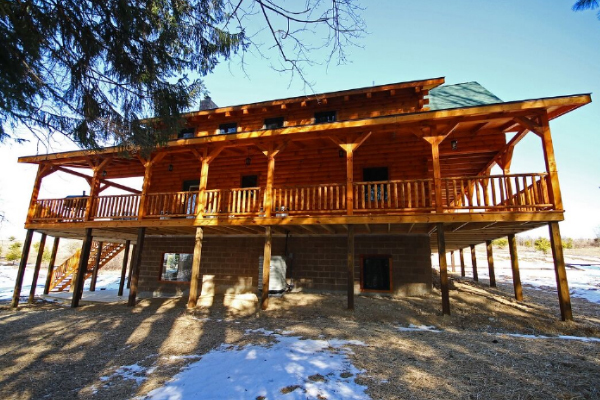 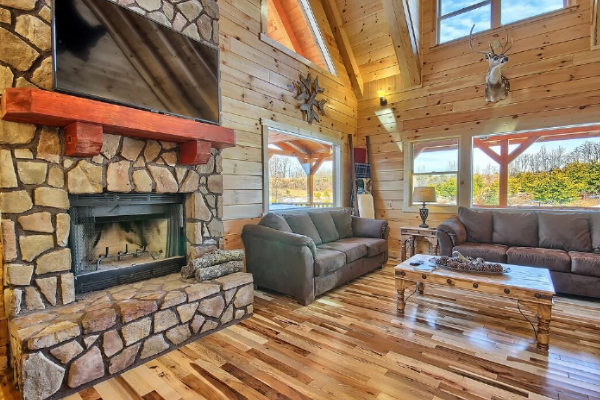 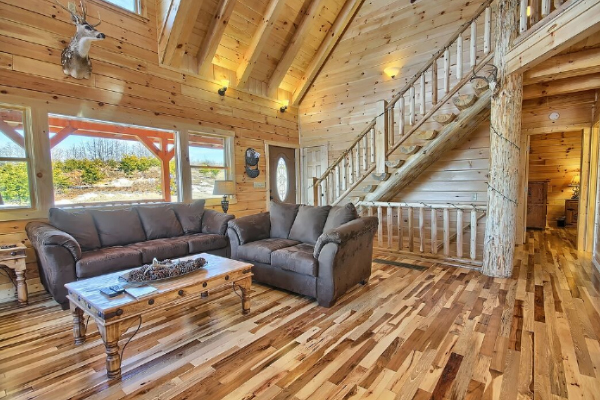 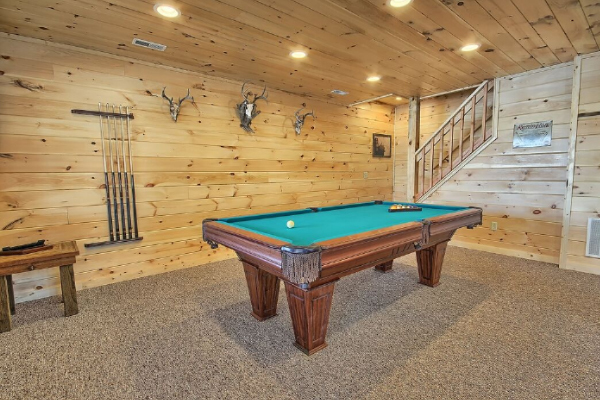 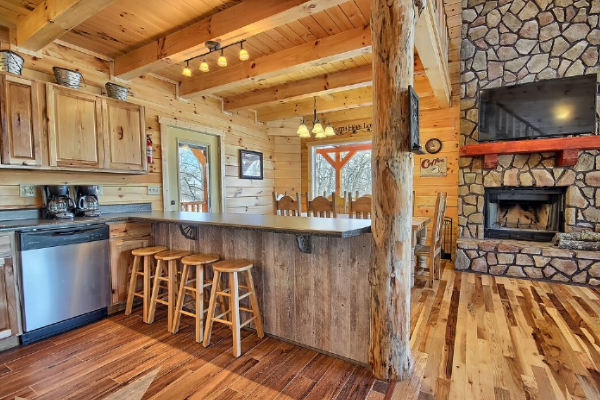 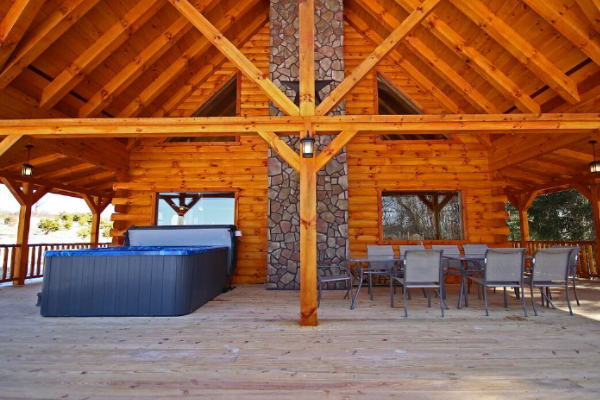 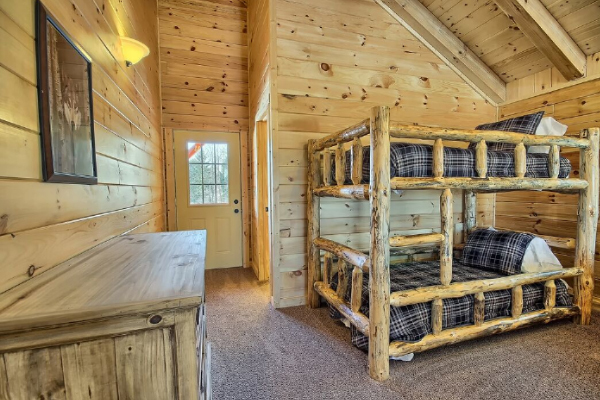 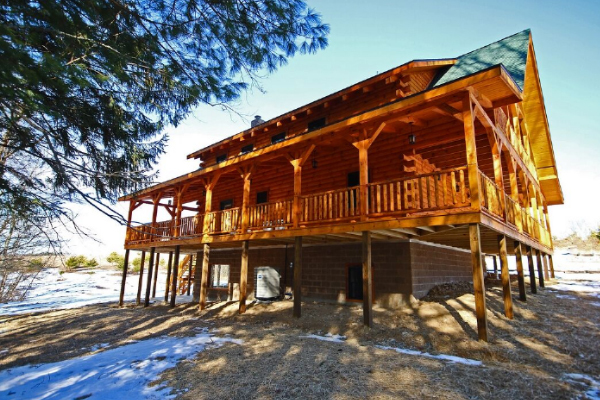 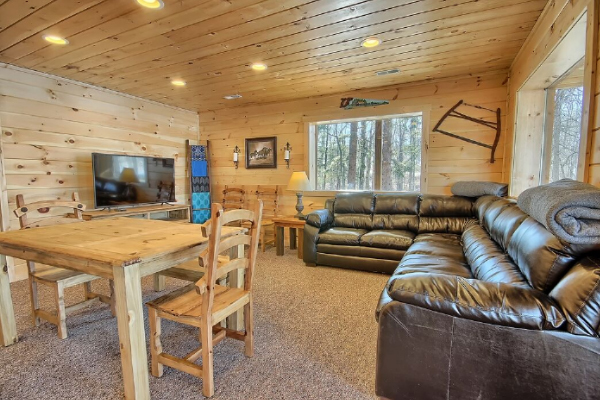 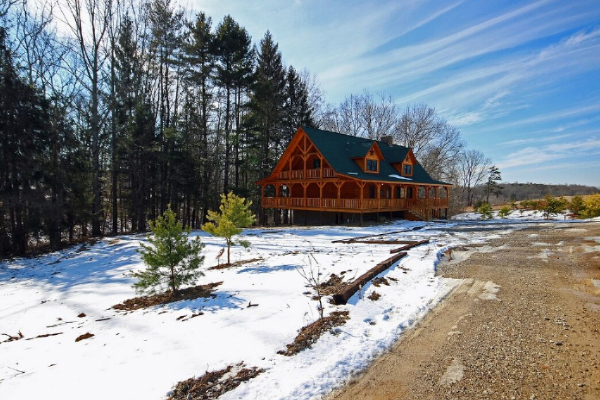 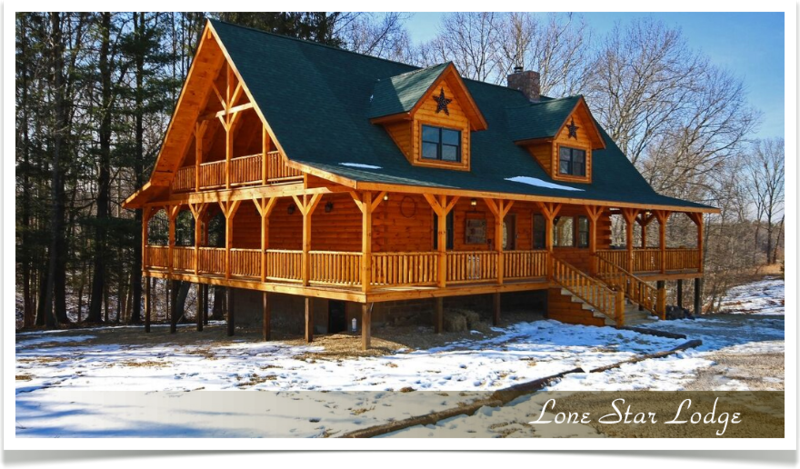 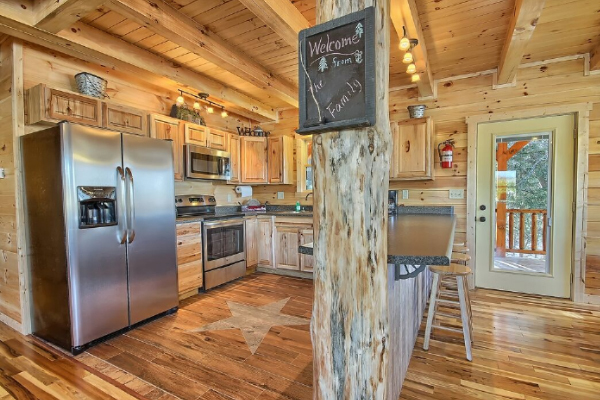 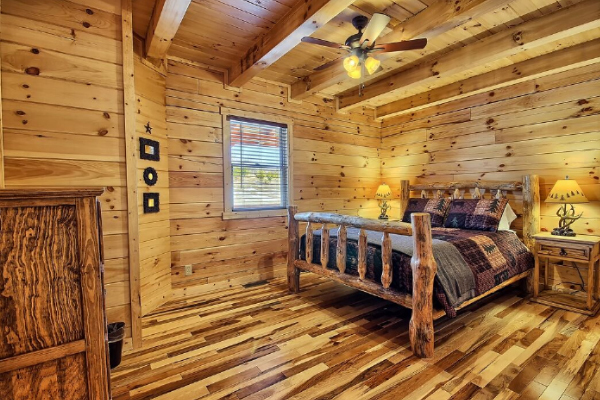 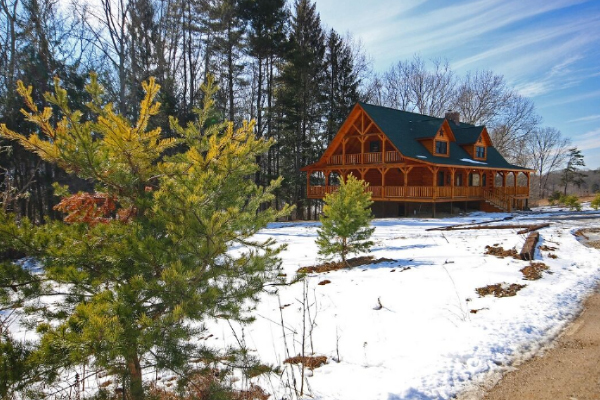 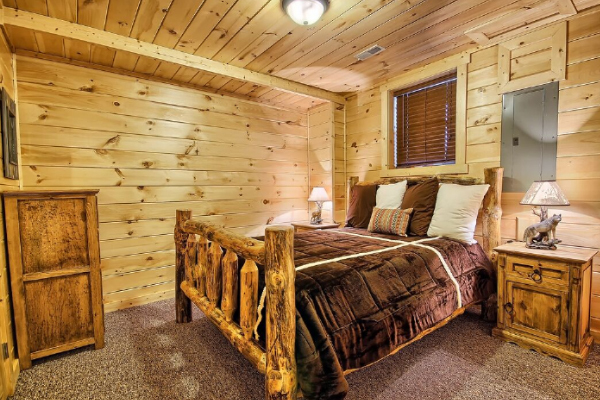 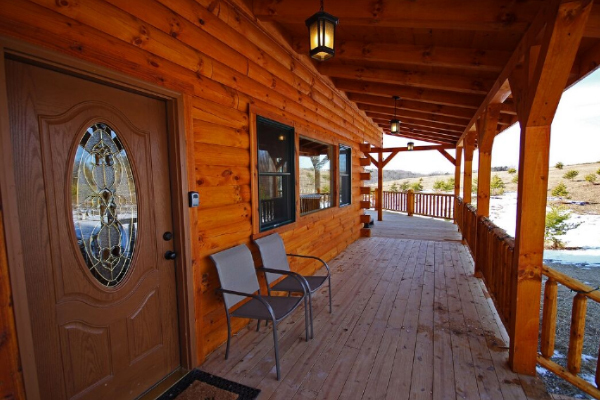 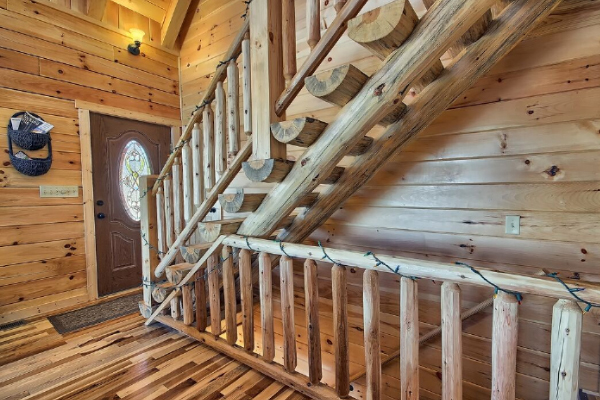 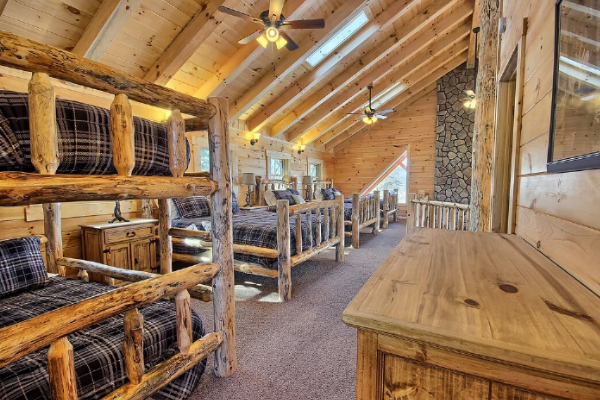 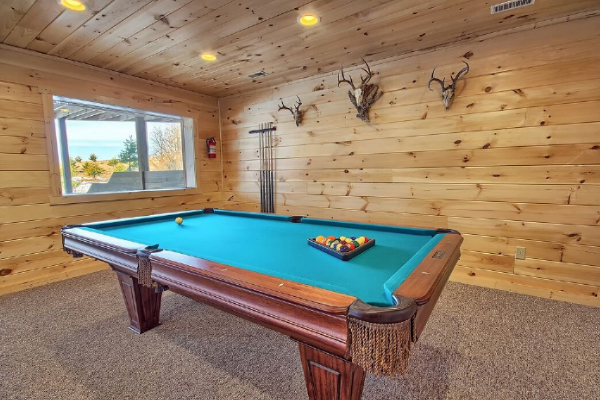 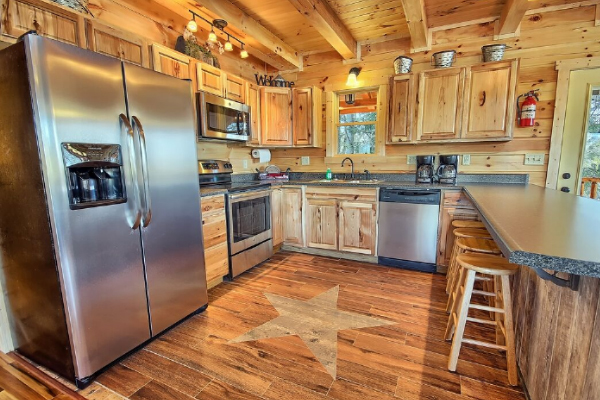 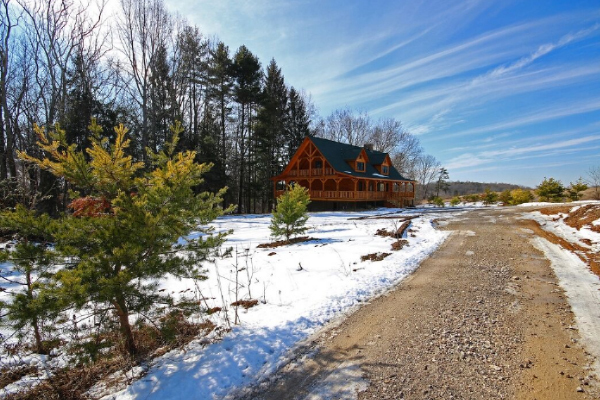 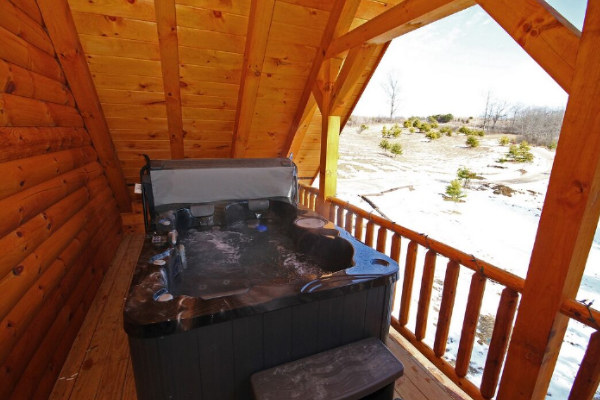 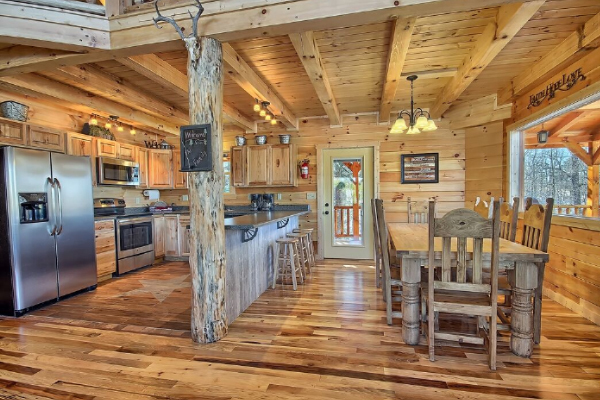 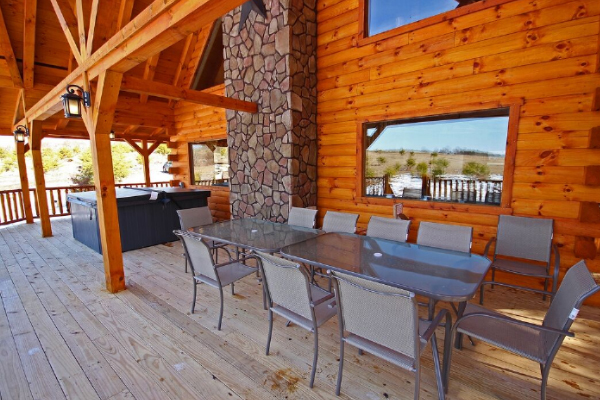 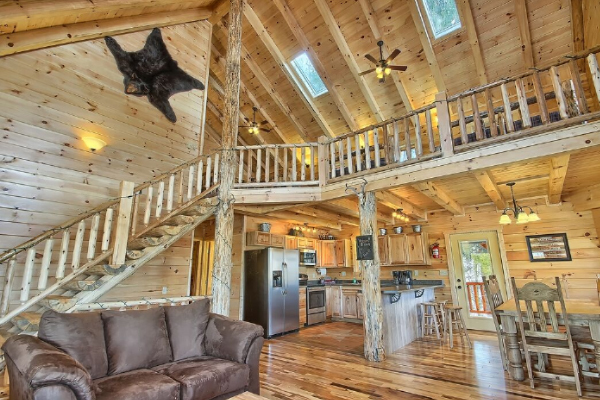 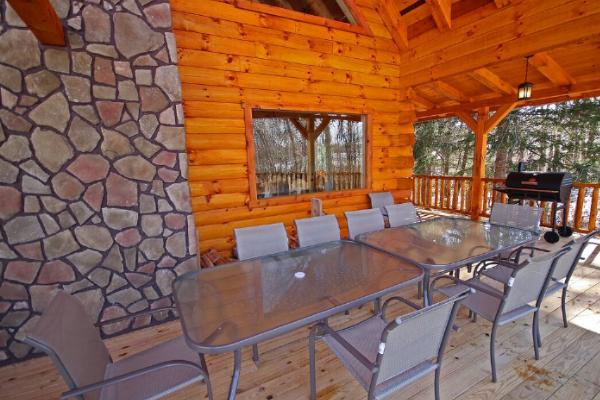 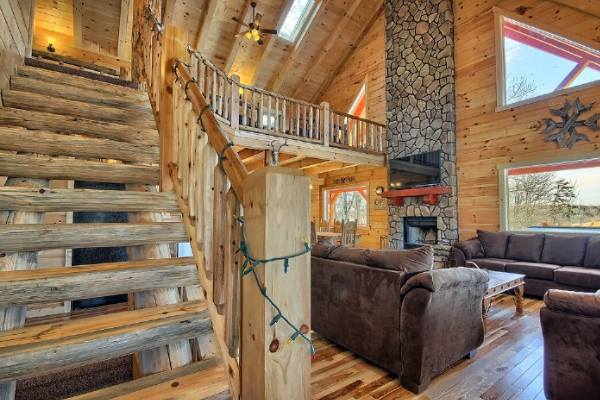 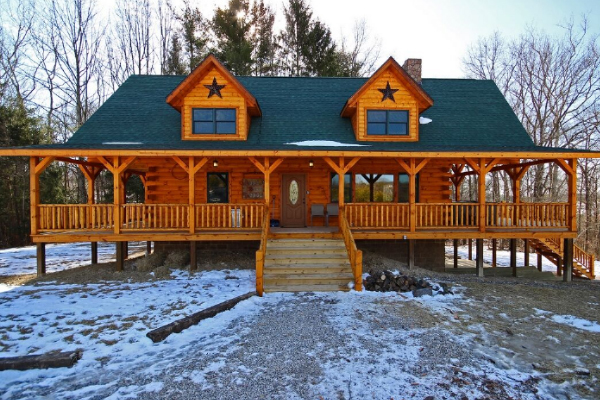 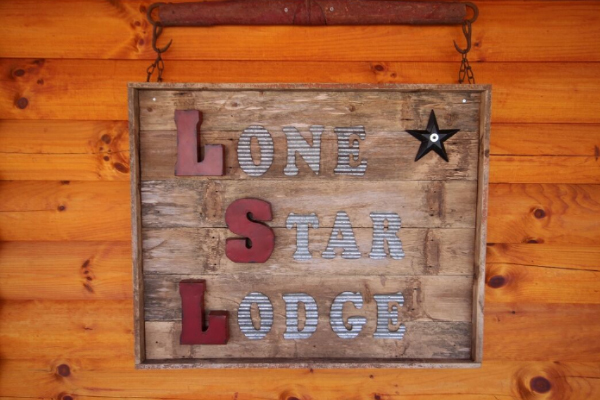 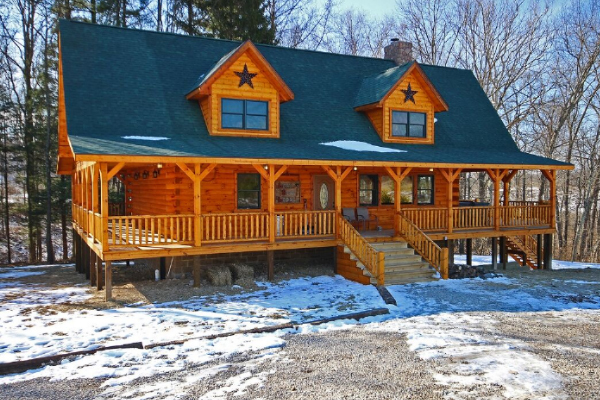 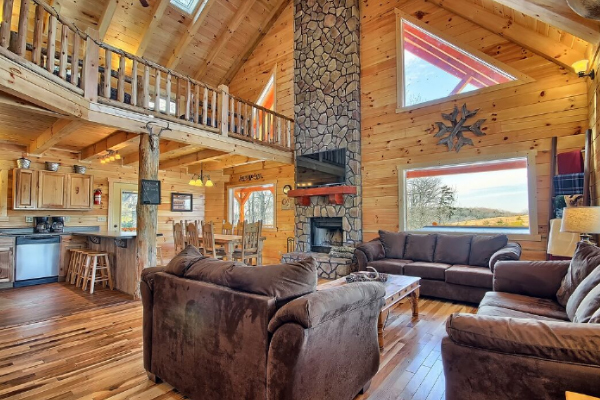 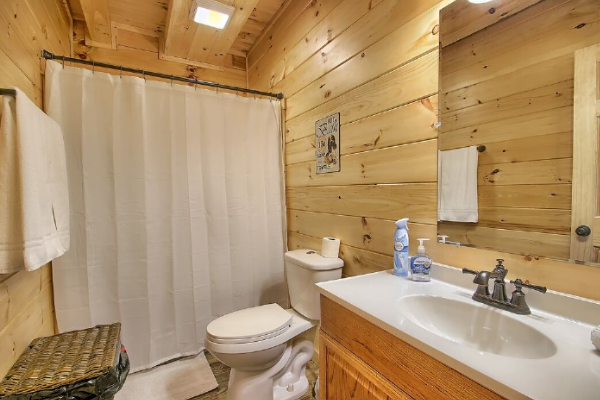 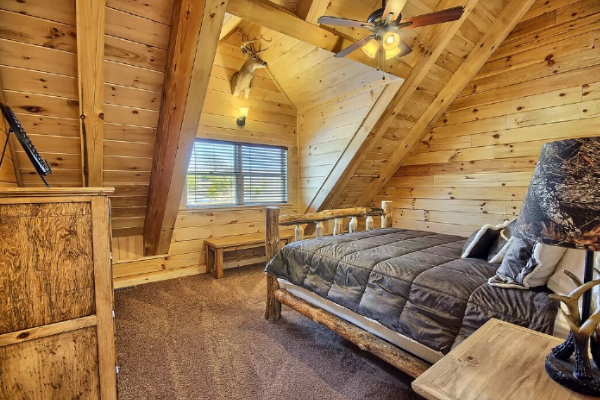 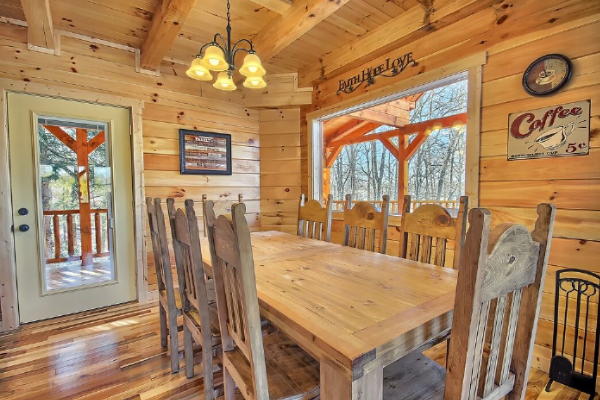 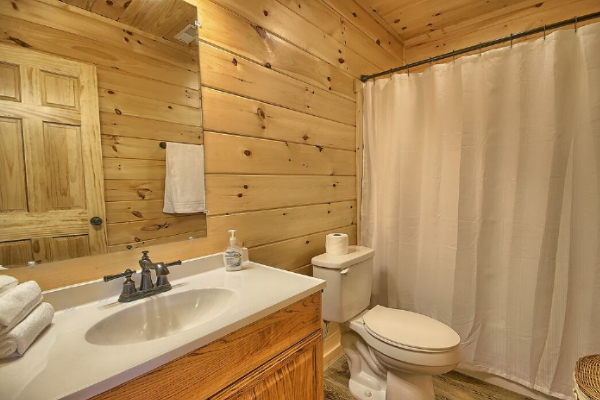 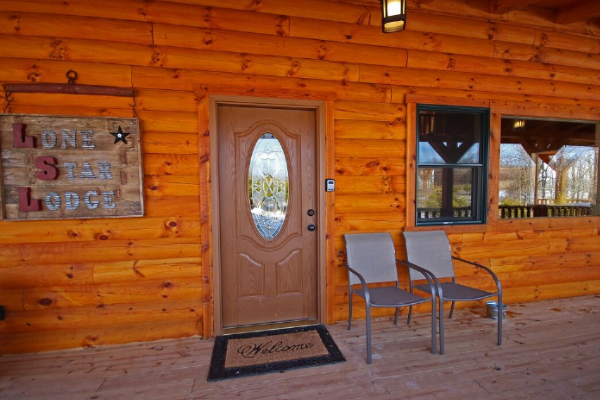 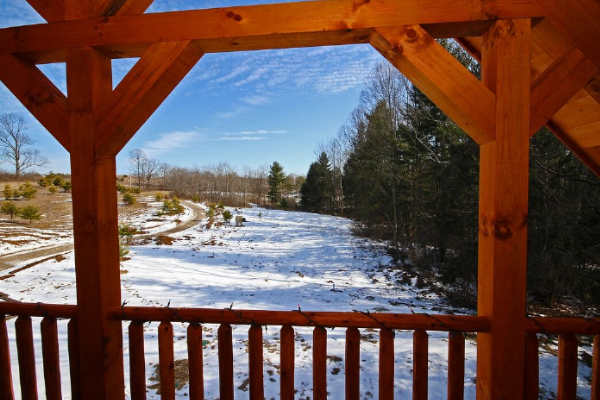 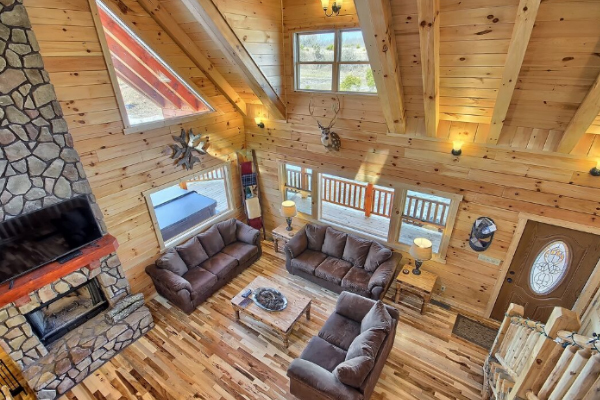 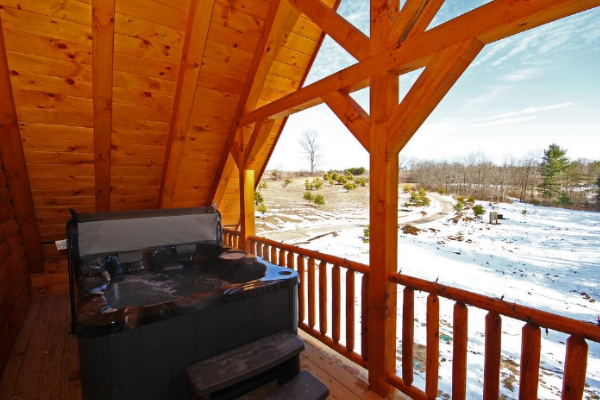 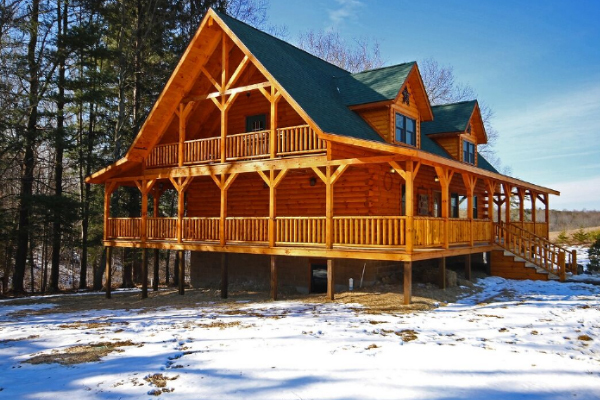 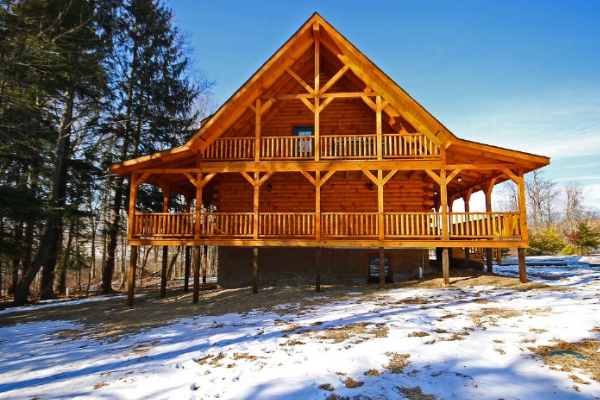 Lone Star Lodge features 5 private bedrooms with queen size log beds and 3 full baths. 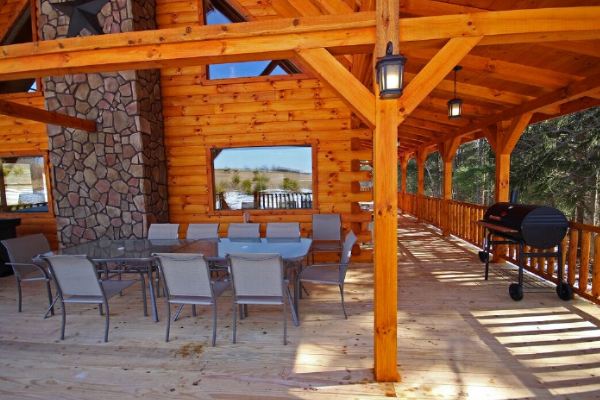 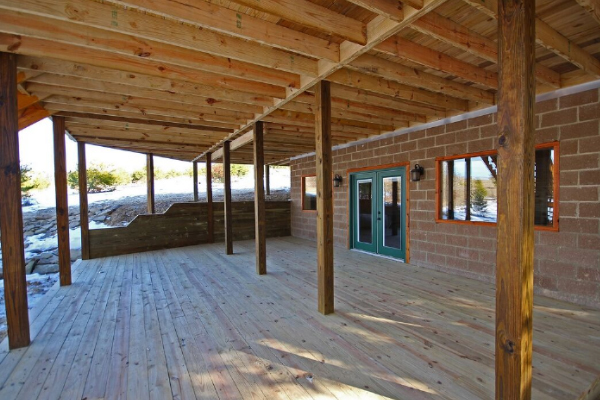 Outdoor areas for gatherings and reunions and with multiple covered sitting areas for your relaxing enjoyment. 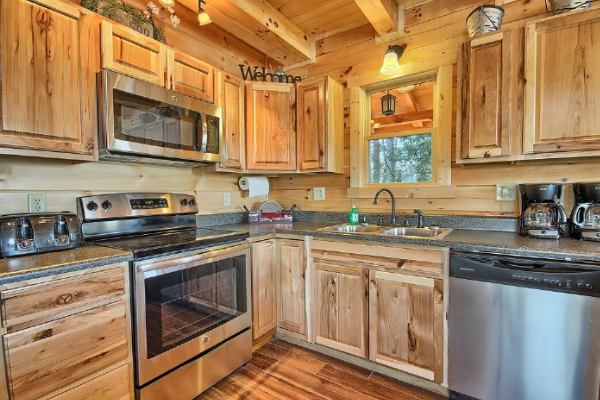 Fully equipped kitchen, including dishwasher, microwave, coffee pot, dishes, pots/pans, silverware and more. 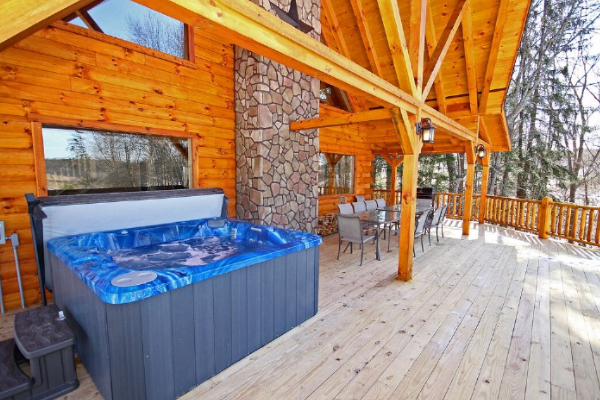 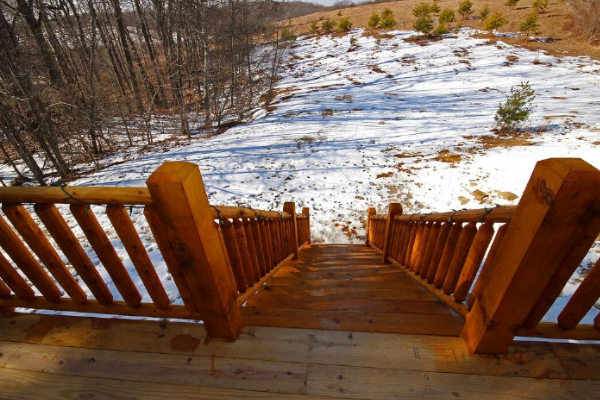 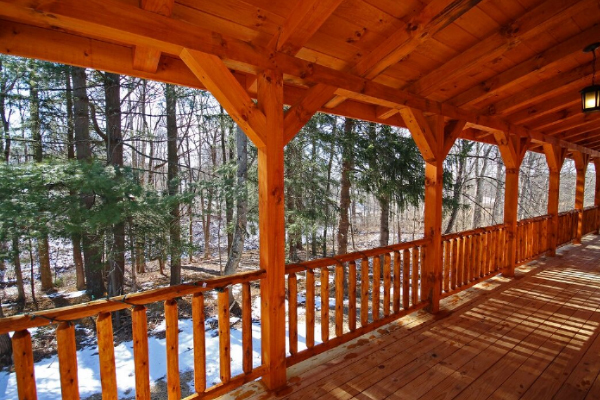 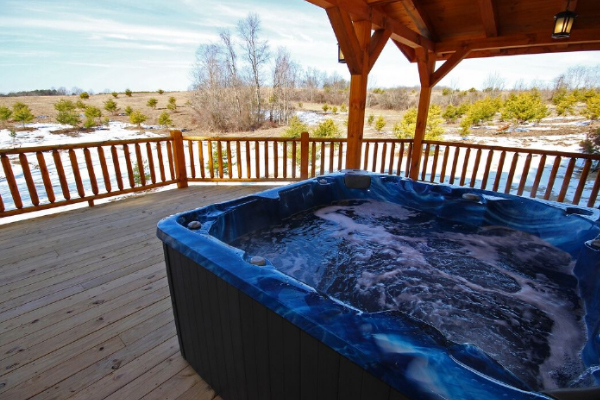 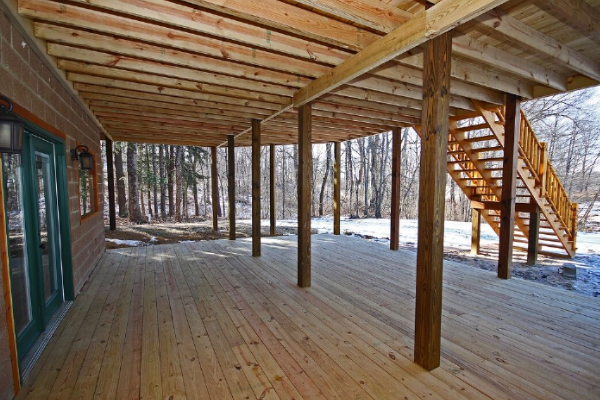 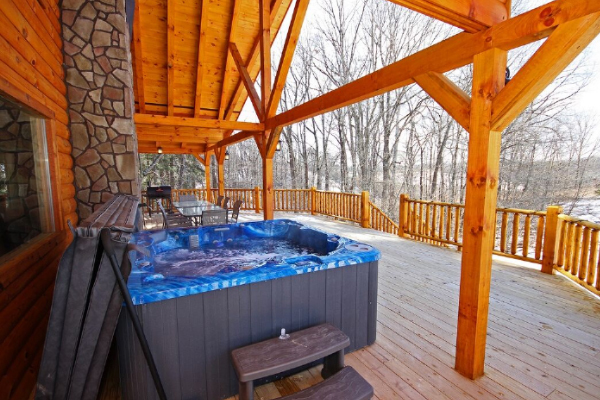 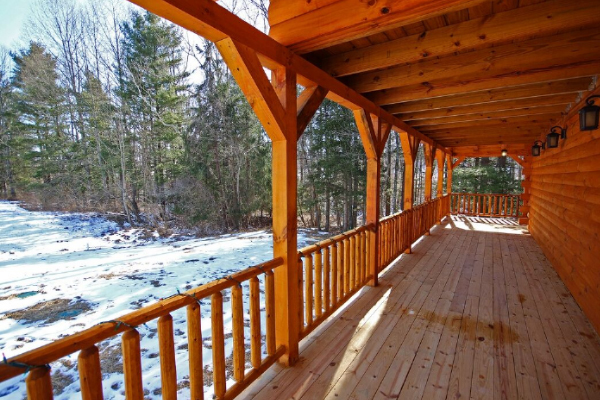 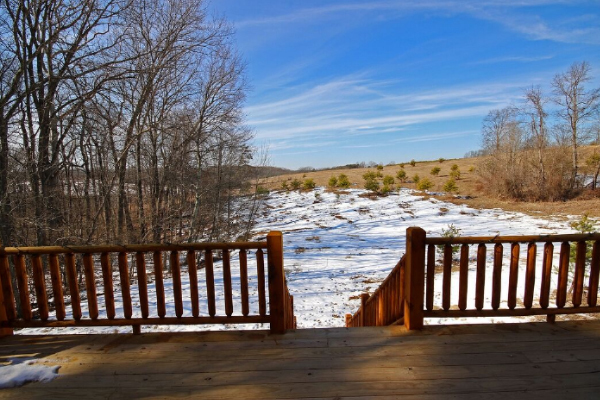 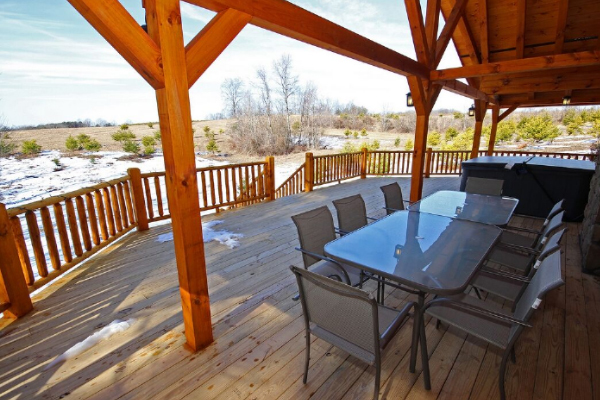 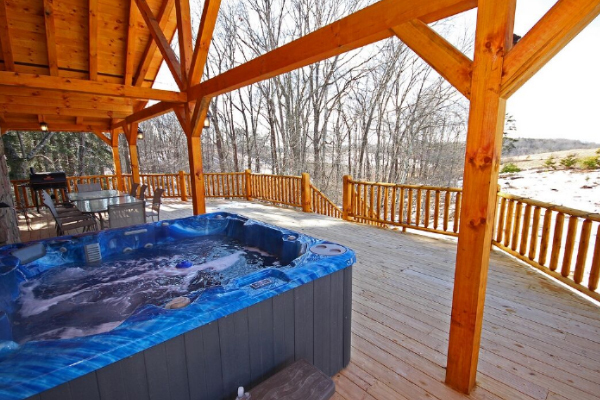 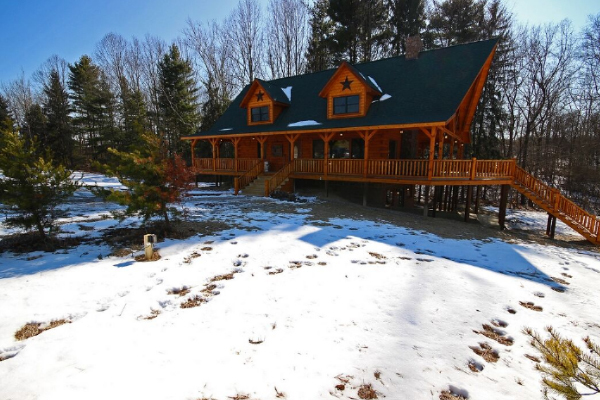 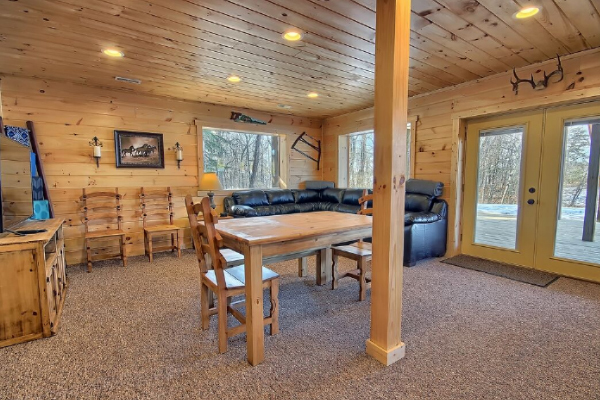 Covered hot tub area on rear deck for gorgeous views of hocking hills area. 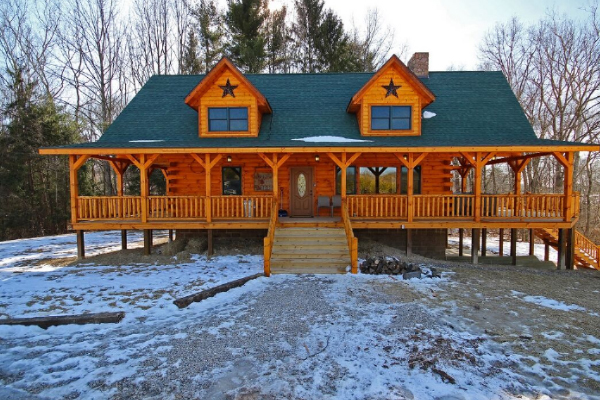 Approximately 2 miles from Old Man's Cave.